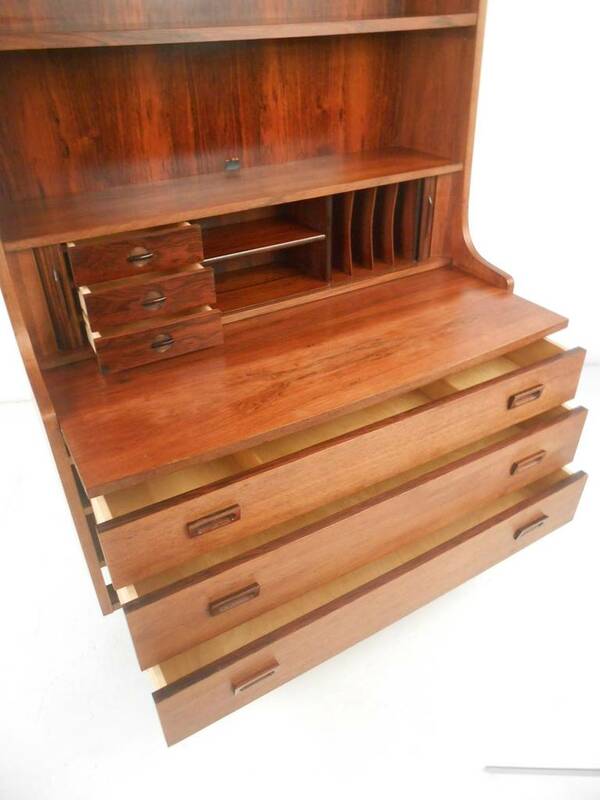 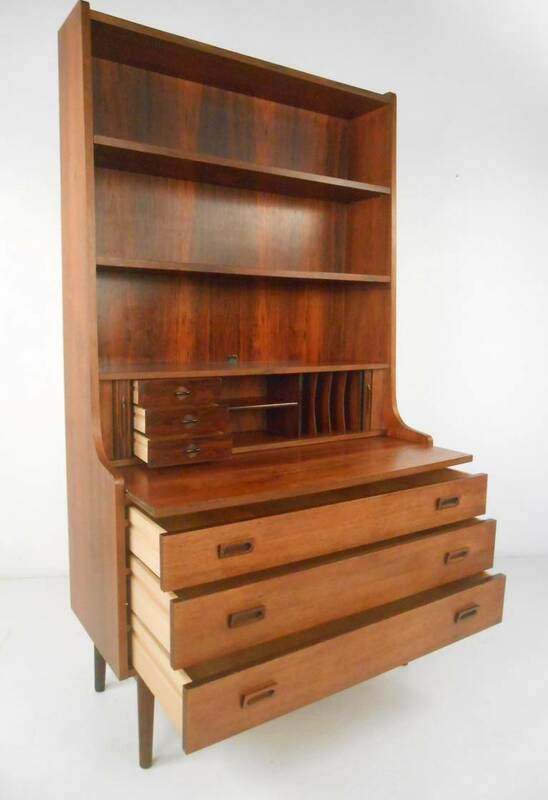 Danish modern desk or bookcase combination featuring slide out writing surface, tambour doors, cubby storage system, and two adjustable shelves above. 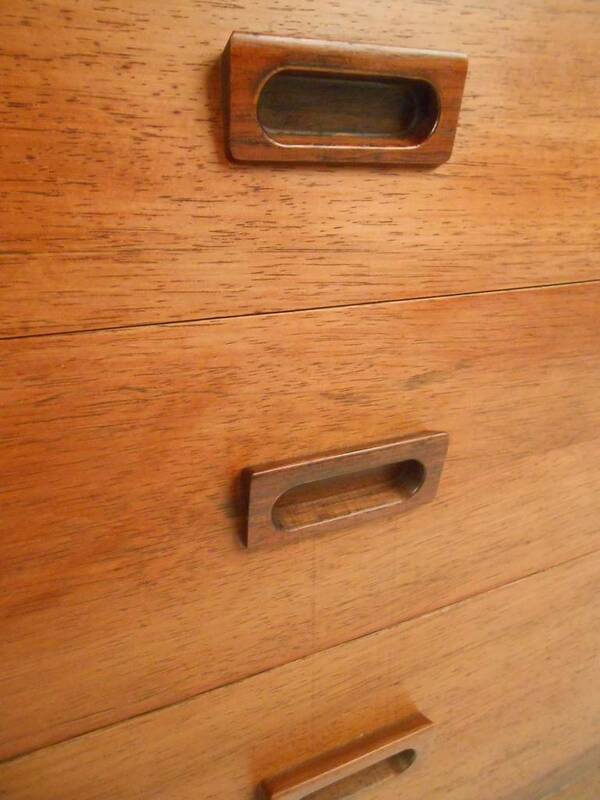 The base contains three storage drawers with recessed pulls. 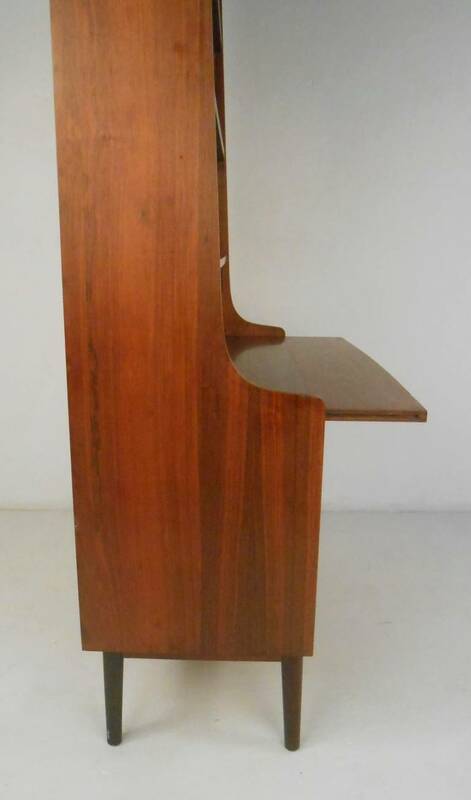 Please confirm item location (NY or NJ) with dealer. 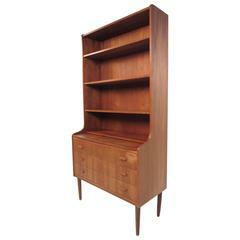 age appropriate wear, vintage finish worn in areas, some scuffs/edge wear, small cable hole above shelf. 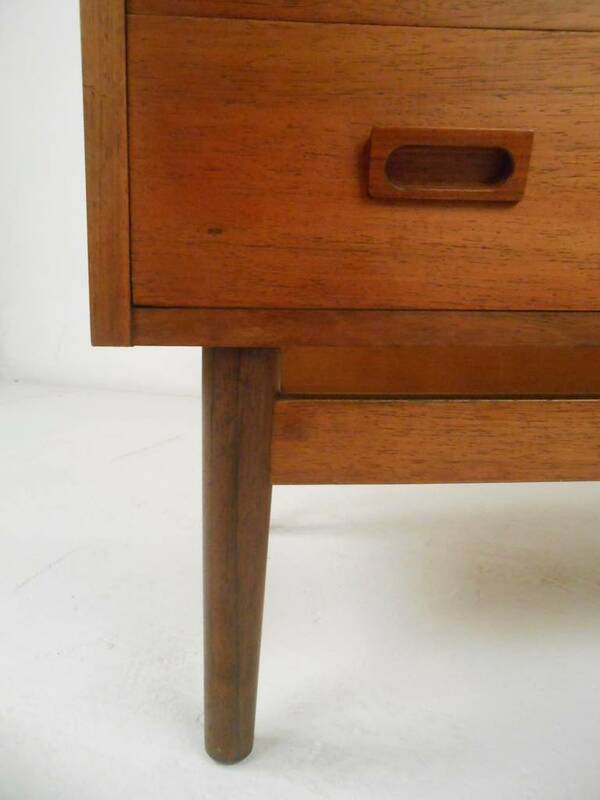 subtle fade mark on writing shelf. 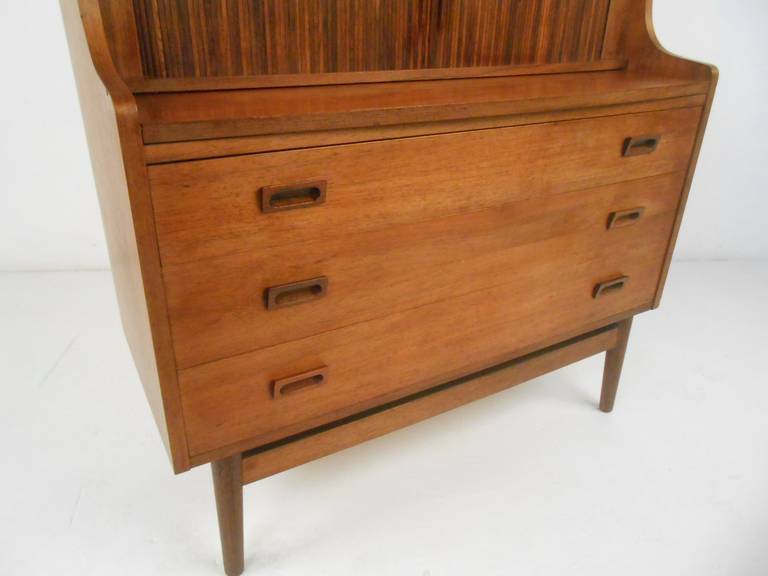 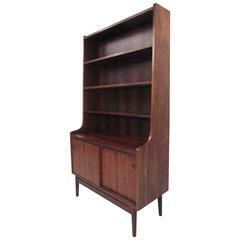 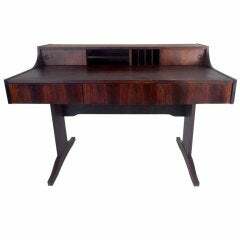 Art Deco bookcase / secratire in palisander veneer A few lacks of veneer, Restoration quote on request. 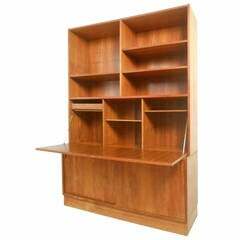 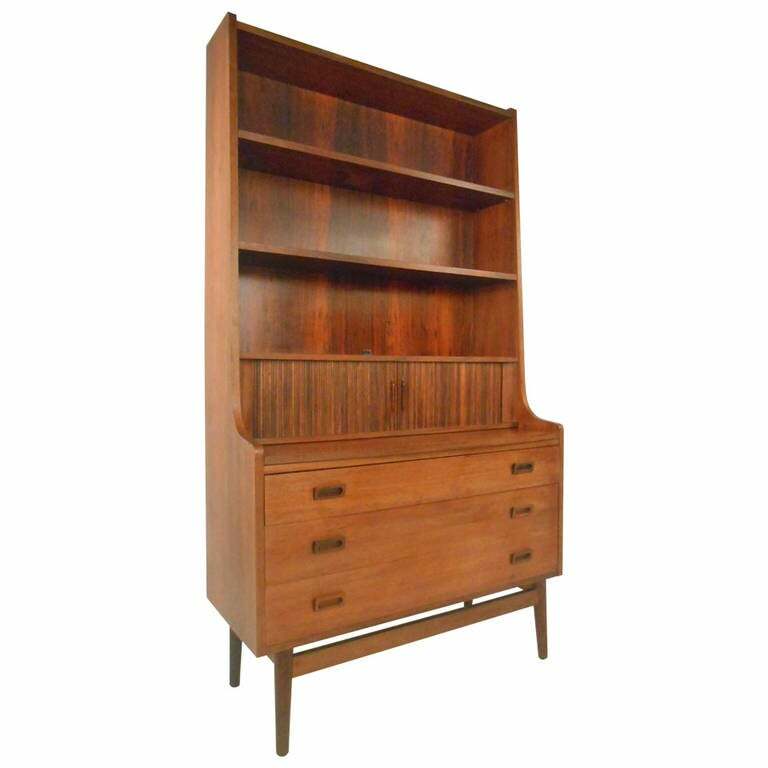 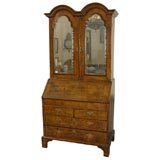 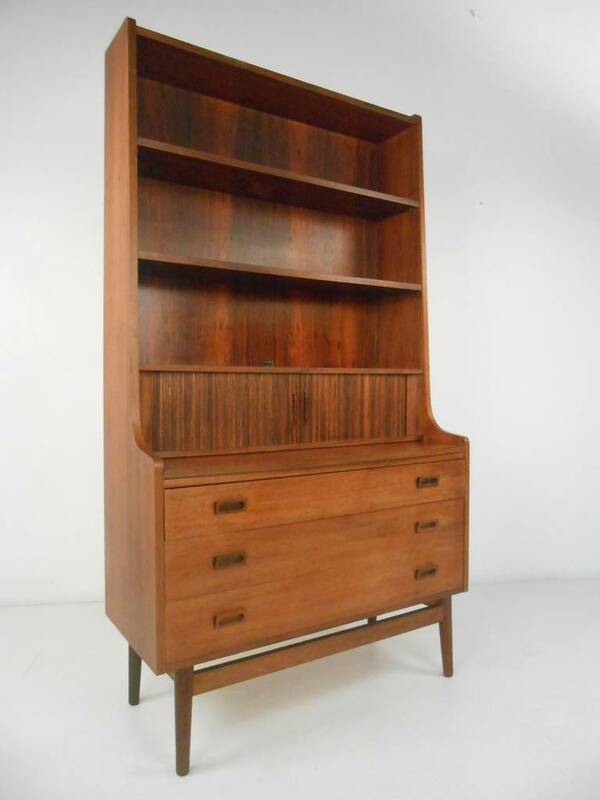 Italian bureau bookcase, two doors over slant front fitted desk.